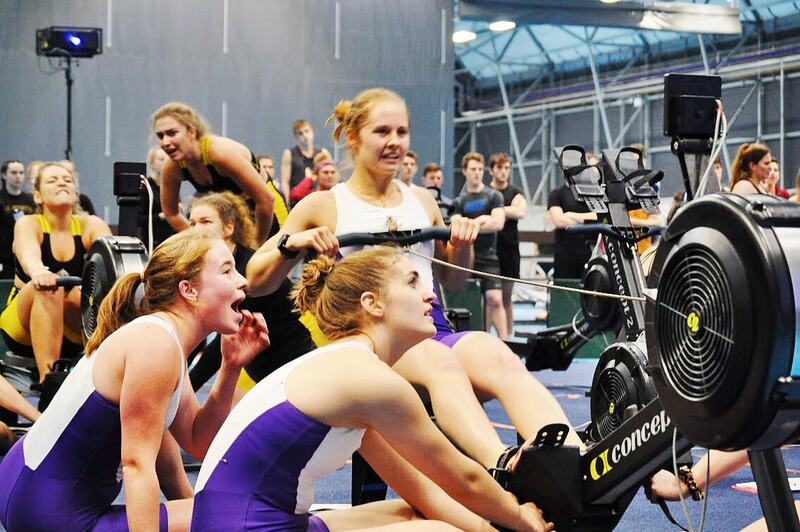 On Saturday 10th November Manchester University Boat Club took part in the first BUCS event of the year – BUCS Indoors. The day kicked off with the Senior Men racing in Openweight Men’ category over a distance of 2000m. Felix Rummel put in a great performance, winning yet another medal for the club in a time of 6:17.3, meaning he took home bronze. There was also a top 10 finish for the Senior Men’s captain Francis Heylen. The next event that featured MUBC athletes was the Lightweight Men’s category, where we came away with a 4th place from Bertie Gregory, and 4 top 10 finishes. The last of the senior races was the Women’s Openweight where Rosa Thompson placed 4th after coming 2nd in her heat. After the lunch break it was time for the beginner rowers to compete across the shorter distance of 1000m. The Novice Men’s category had nearly 100 entries with MUBC making up over a quarter of them. Tom Bobrowski proved to be the fastest of the Manchester Novice Men, with his time placing him in 7th place. The final individual race was the Novice Women where Miara Pipe placed 8th. The day ended with the most exciting, and competitive race: the relays. The Senior Men’s first team held their own in a competitive field and came away with 3rd place, with the Senior Women’s first team placing 5th . Overall it was an incredibly successful weekend, and established a great platform for the club to build off of. The club would like to say thank you to the University of York Boat Club for putting on such a great event, and we look forward to racing them at York Small Boats Head on Sunday 18th November.